We know that the Ottomans regarded the important Christian towns which were the targets of their imperial desires as „Golden Apples”. Nándorfehérvár aka Belgrade, the gateway to the Hungarian Kingdom, was just such a fruit and Buda Castle was the next one to pick. The rest of the apples, like Vienna, Rome, Paris, Prague or Amsterdam, were still hanging on their branches. The concept was simple: attack the enemy in waves, burn their land and spread terror, kill the peasants or enslave them, isolate the forts and destroy the villages around them. Sooner or later, the apple will fall in your lap. However good the Turks were at apple-picking, the stubborn Hungarians had been crossing them since the end of the 14th century until the last siege of Vienna in 1683. It is not surprising that the Hungarians knew a lot about the concept of „Kizil Elma”. They even had a legend about the Golden Apple from the time of King Matthias Corvinus (1443-1490). The idea of the „Kizil Elma” was recorded by Konstantin Mihailovic, a Serb soldier who lived in the Ottoman Empire between 1455-1463. In his book, „Memoirs of a Janissary” he tells us a story about Sultan Mohamed II (1432-1481) who had heard the news that the Pope and the Christian powers wanted to attack him. 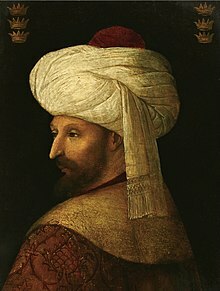 „The Sultan was worried that his Christian subjects would rebel against him on the newly conquered European lands so he summoned his viziers and commanders. The officers’ advice was to prevent the Christian’s attack by a quick campaign as it was always better to wage a war on the enemy`s land. It was Ferenc Móra who preserved the Hungarian version of the legend. He collected it in a Hungarian village in the 19th century. It is almost identical to the Turkish one. The name of the tale is „Aranyalma” (Golden Apple). It says that the Germans, the Turks, and the Polish attacked King Matthias at the same time. Matthias decided to send the best of his generals against the Germans and the Turks. As for the Polish, he thought that one of his pages would be good enough to lead his army. He summoned his seven pages and gave them the very same riddle that the Sultan had given to his viziers. Whomever of them could pick the apple without stepping on the carpet could go against the Polish. Finally, a brainy young man rolled the rug up and got the apple. The king sent him to the north and the page defeated the attacking Polish army. 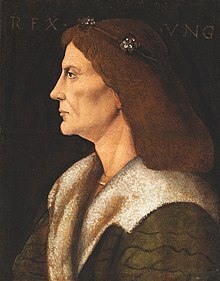 King Matthias rewarded him with a golden velvet robe and enobled him. The boy became the ancestor of the Almásy family, „alma” standing for „apple” or in Turkish, „elma”. Gábor Szántai is a Hungarian teacher and reenactor who lives in Budapest with his wife. He traveled extensively in Central and Eastern Europe during the years of the Communism. Later, he lived in Colorado in the U.S.A. He likes history, alternative history books, science-fiction, published non-fiction and fiction articles in the Grantville Gazette. He is a HEMA (Historical European Martial Art) fencer and fan of history. He is trying to make Hungarian history more popular by writing about it in English on his Facebook page "Hungaries-1632". He has published two books: "33 Castles, Battles, Legends" (2017) and "The Ring of Kékkő Castle" (2018).